See Disney's Brave at the Dive In Movie Theater December 27th | Louisville, Kentucky | Joe Hayden Real Estate Team - Your Real Estate Experts! If you packed your swimsuit away for the winter, you might want to get it back out. The Mary T. Meagher Aquatic Center at 201 Reservoir Avenue in Crescent Hill Park is inviting children of all ages, with age 9 and under accompanied by an adult, to come out for a Dive-In Movie at their indoor pool on Thursday, December 27th. This free event is scheduled for 6:30 p.m. The animated film Brave from Disney Pixar Studios will be playing, which is the inspirational tale of a young princess who works hard for her beliefs. Monday through Thursday - 5 a.m. until 9 p.m. with recreational swimming from Noon to 3:30 p.m.
Fridays - 5 a.m. until 9 p.m. with recreational swimming Noon to 3:30 p.m. and 7 p.m. to 9 p.m.
Saturday - 9 a.m. until 6 p.m. with recreational swimming Noon to 6 p.m. 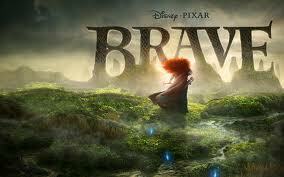 The Dive-in Theater showing of Brave on December 27th at 6:30 pm is sure to provide a great time for families. 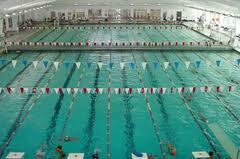 As well, parents will find that the Mary T. Meagher Aquatic Center has a lot of safe, productive activities available to promote family fun and they offer both monthly and yearly membership rates.